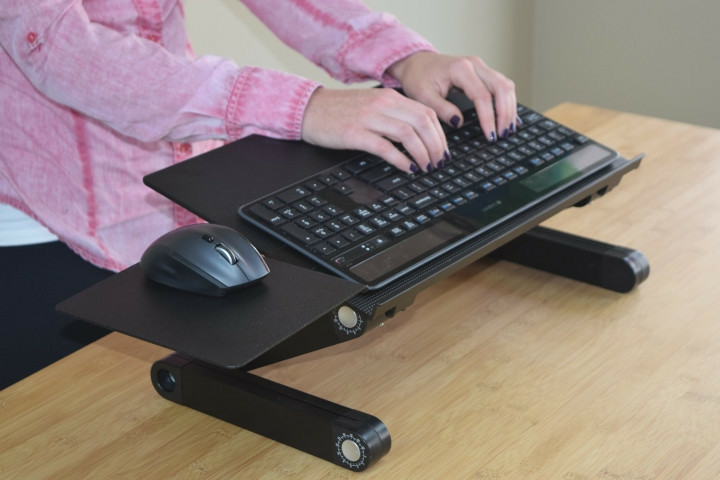 The ergonomic WorkEZ Keyboard Tray & Mouse Pad holds keyboards & mice at the optimal position for sitting & standing at a desk. 18" wide panel comfortably holds most keyboards. Easily adjust the mouse pad's angle.